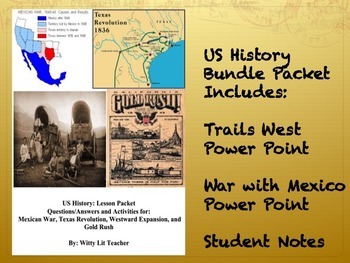 Teachers: Now you can have all of my lessons from the Trails West, War with Mexico, and student notes to go with it in this amazing bundle!! Save money by Buying this Bundle!! Click on the green STAR above (to follow me) to receive notifications of new products in my store! !